You know Pierre Marcolini always serves high quality chocolate. Cafe Marcolini is more casual than other shops. However you can also have his rich and creamy chocolate at there. The flavor of the season ice cream was white chocolate. 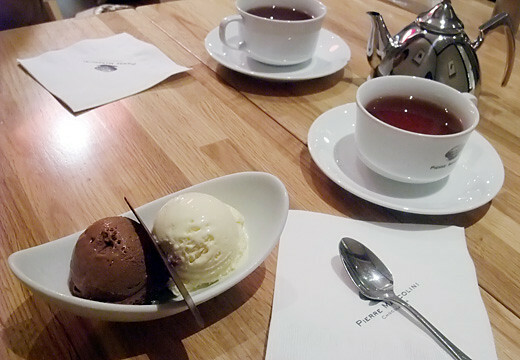 I had chocolate & white chocolate ice cream. 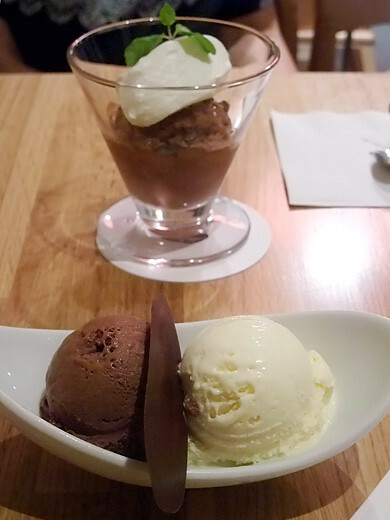 My friend chose dark chocolate ice cream with mint flavored fresh cream. Both of these were promised! !